Ivana Belakova took an interest in art as a child, constantly drawing and exploring her artistic talent. As a teenager, Belakova began to engage with graffiti art, a form of street art that expressed the ideas, opinions and emotions of her generation in a visual form, using city walls as a canvas. 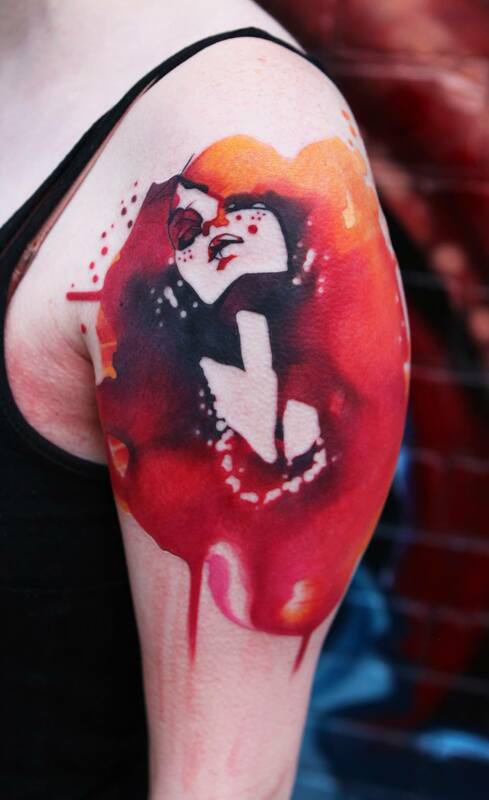 After finishing school, Ivana Belakova was offered a job in her friend’s tattoo studio, a position that allowed Belakova to move her art from the canvas of the streets to that of human skin. Although she was uncertain about her potential skill as a tattoo artist, Belakova quickly fell in love with the art form. 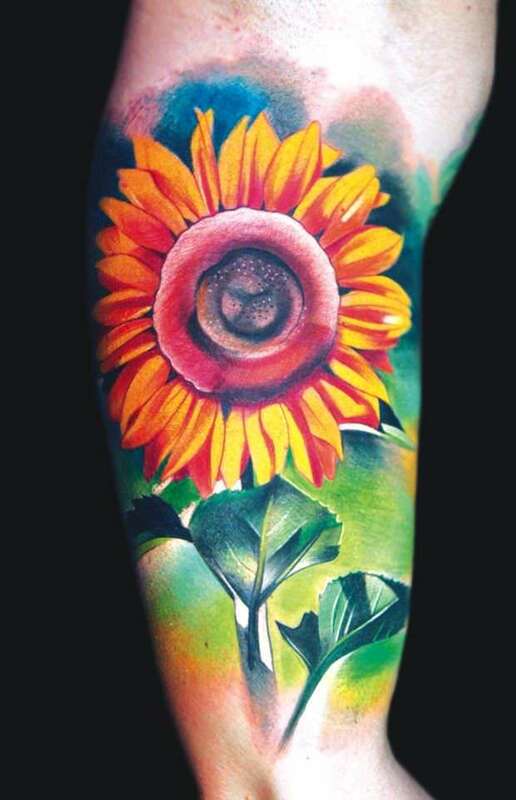 Belakova’s move from black and grey tattoos to color tattoos allowed her to expand the number of techniques she used in each body art work. Using color allowed her to employ color contrast; a technique that uses contrasting colors to make certain parts of the designs stand out. 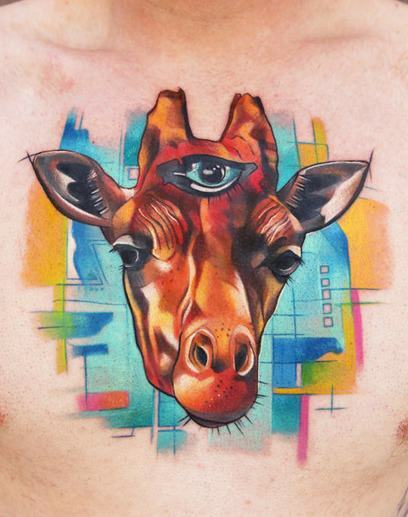 Tattooing in color also allowed Ivana Belakova to create eye-popping graphics tattoos with a strict palette; a technique that appeals to the ordered and organized parts of the human brain. 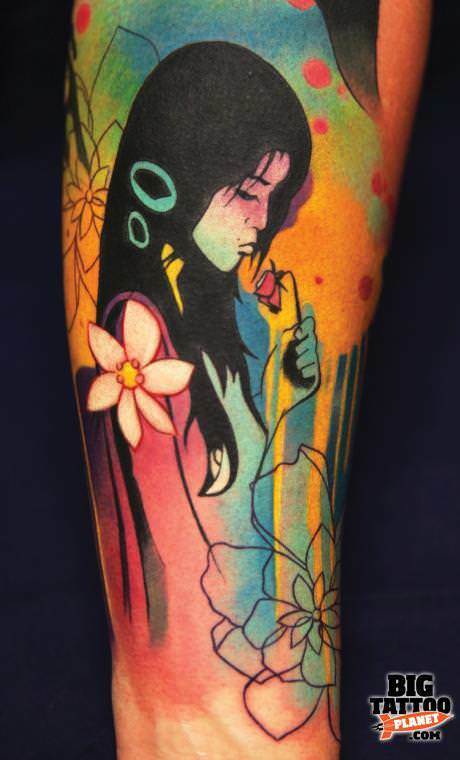 This makes Belakova’s colorful tattoo artworks visually and psychologically appealing. 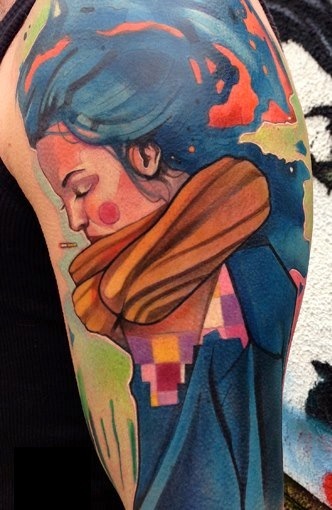 Ivana Belakova’s colorful, artistic tattoos are packed with different opacity levels, textures and patterns. Some of these design elements have been used by tattoo artists before Belakova but many spring from the artist’s own imagination. 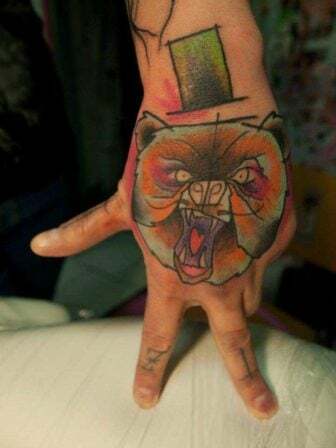 Although Ivana Belakova strives to give her clients exactly what they want, she isn’t afraid to speak up if she feels that something should be added, removed or changed within the tattoo design. When it comes to creating the design, Belakova prefers to be allowed artistic freedom, to “work her magic” with the art work. The differing opacity levels that Belakova uses in her tattoo art gives the tattoos sensualism by appealing to the senses and convincing the brain that the spilled paint is thicker in some areas than others or that the feathers of a bird are stiff and inflexible instead of soft and yielding as in real life. Animals that are furred or hairy in real life may appear in Belakova’s art works with a more textile or plastic surface. 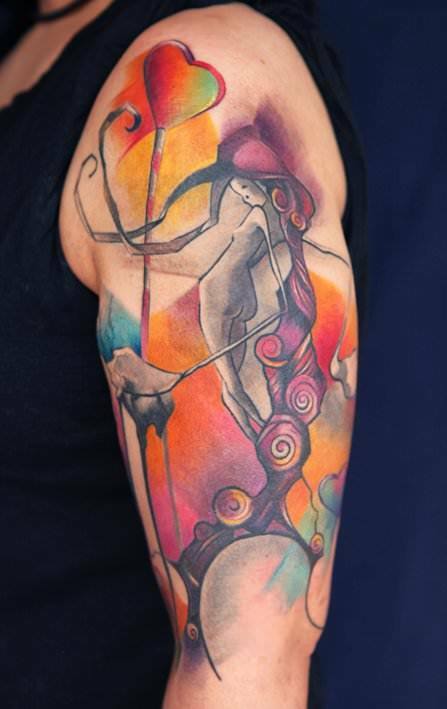 The animals and objects that Ivana Belakova uses in her tattoo designs are symbolic. 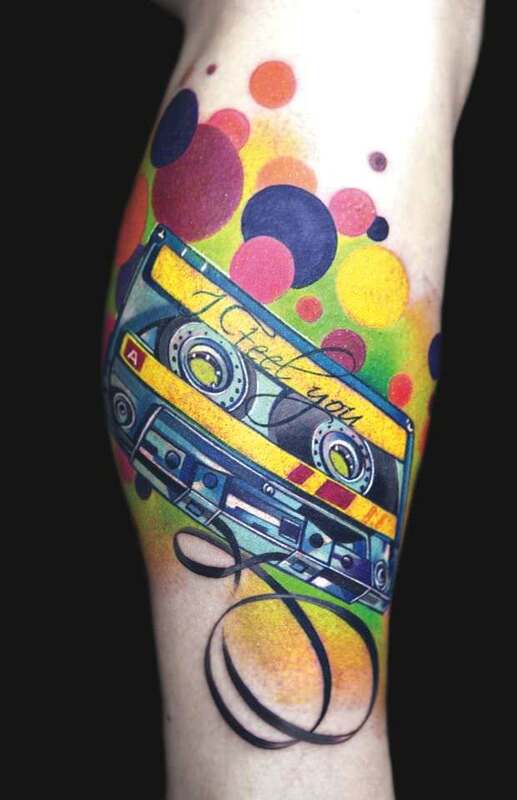 For a music lover, Ivana might depict an old gramophone or a casette tape. For a client who wants to express love and passion through body art, Belakova might choose a pair of beautiful, pouty lips as the subject for her tattoo. 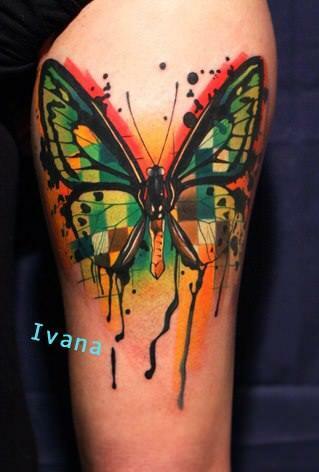 Every bird, characater and animal used in Ivana’s tattoos have symbolic weight, either as the client’s totem animal, as a representation of a human personality trait or to symbolize a loved one. Ivana Belakova likes to travel and so she doesn’t take on large tattoos, preferring smaller projects that can be completed in a few days or weeks. 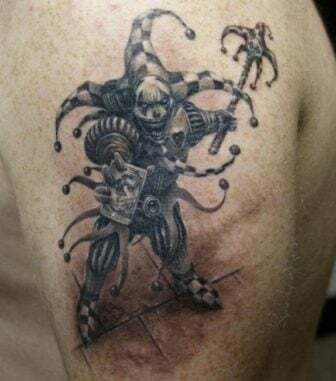 Belakova prefers globetrotting and freelancing but when she is in Europe she makes her way to the Tattoo Rascal studio in Slovakia, a tattoo shop that she considers her base. You can contact Tattoo Rascal here or talk to Ivana Belakova directly via her Facebook page.